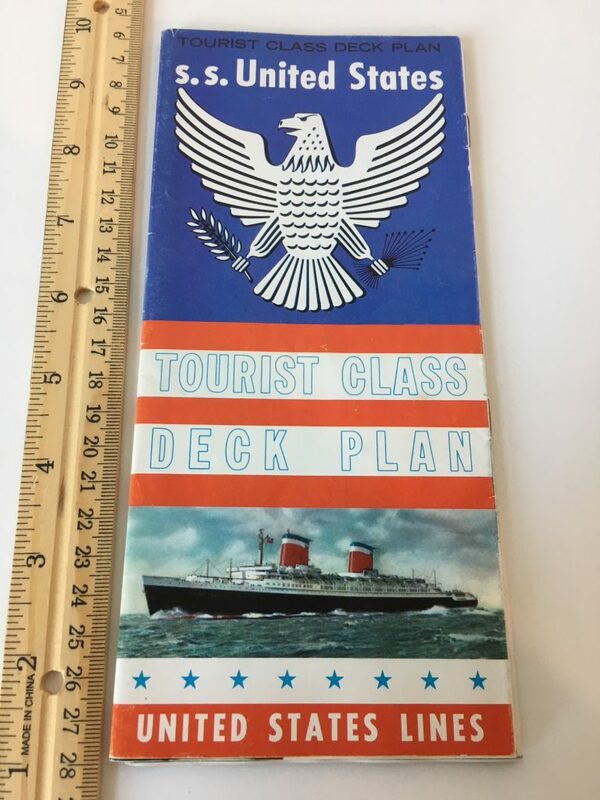 USL always did nice publicity items for the SSUS … and these deck plans are pure proof. Printed on glossy paper, this contains super color-coded plan and excellent full color photos … the tourist class dining room is stunning… Great condition. Not dated but form other I have had, I’d say this is about mid 50’s.